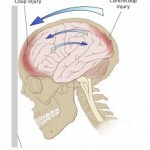 What are the most common causes of TBI in civilian life? Civilian TBI is more common than the general public realizes. It has been called “a silent epidemic” for a reason. Motor vehicle accidents (MVA’s) are probably the most common causes, followed by job-related accidents and “slip-and-fall” accidents. Recently, there has also been a lot of interest in athletic TBI, both in professional athletes and in college and high-school athletes. TBI stands for Traumatic Brain Injury. 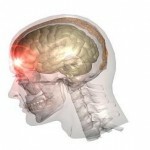 TBI has been in the news lately because of blast injuries suffered by many soldiers in Iraq and Afganistan, but TBI is a common source of brain damage in the civilian life as well.